Korean broadcast equipment manufacturers DS Broadcast and Kai Media are the first to launch professional broadcast encoders supporting MPEG-H Audio. The BGE9000 4K Ultra HD Encoder by DS Broadcast and the KME-U4K Encoder by Kai Media both use the Fraunhofer MPEG-H Audio software to offer new interactive and immersive sound features. MPEG-H Audio likely will be the first new audio system put on the air by broadcasters, as it now is being built into TVs and professional equipment for Korean ATSC 3.0 broadcasts that will start in 2017. 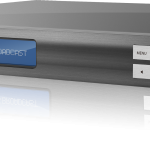 DS Broadcast’s BGE9000 4K Ultra HD Encoder is based on highly reliable hardware for use in broadcast applications such as terrestrial, cable, satellite, and IPTV. The manufacturer adopted the MPEG-H Audio encoder software for its professional broadcast encoder, enhancing the truly immersive 4K UHD images, frame rate and quality provided by the BGE9000 encoder with immersive and interactive sound. 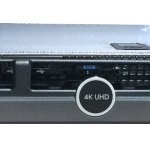 Kai Media’s KME-U4K is a high-performance and notably reliable 4K UHD live encoder. Developed with dedicated hardware on a server, KME-U4K provides outstanding functionality while remaining practical and flexible. The adoption of the MPEG-H Audio encoder software from Fraunhofer IIS adds advanced audio features in addition to real-time encoding up to 4K Ultra-HD and four Full-HD channels.